Managed Travel 2.0 has a huge implication for travel management companies (TMCs). First, let’s start with the core issue – the booking transaction. It’s the center of the TMC’s universe. They organize and price their business around this function. Everything else is basically an ancillary service. It’s all about the transaction fee. 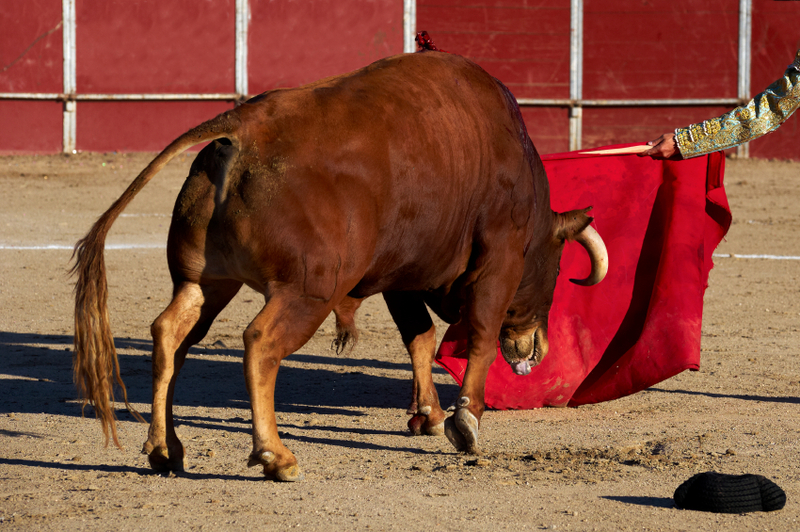 No surprise that clients view the transaction fee as a bull does a red cape. It’s highly visible, a tempting target, and instinctively from a procurement perspective, it’s something to attack. And what’s worse, from a TMC’s view, is that many clients expect everything to be included in the transaction fee – for free. Mid-office quality control. Data reporting. Mobile tools. Advisory services. Maybe not absolutely everything, but enough so that TMC execs shudder at the prospect of trying to pass on the cost of making or buying a new value-add service. Will this focus on the transaction fee ever change? Yes. It has to. For two reasons. 2) Safety trumps every other aspect of a managed travel program. So companies will prioritize getting the booking data, regardless of where or how a traveler books. The technology will exist to capture these non-compliant bookings. There we have it. Business travelers will have better booking experiences via consumer sites, still get discounted pricing, and companies will get that booking data. Who needs a TMC anymore? Or asked differently – What should be the core mission of a TMC? Answer: Traveler safety and service. Forget about relying on a transaction fee. Focus instead on knowing how to protect and serve travelers through the trip cycle. Isn’t that what companies fundamentally want? And who better to provide those services than a TMC? A TMC with a broader vision of its core mission; one that can evolve with the times, the trends and the technology. I see a future where TMCs bid to protect and serve the travelers of a company in the same way a healthcare insurance company does. The bidder sizes up the traveling workforce, understands the travel patterns and booking paths, and quotes an all-in traveler safety and service fee. Maybe it is $200K, or $2 million – but it isn’t a $20 transaction fee. Under this model, TMCs compete on their safety and service capabilities. What will count is their ability to acquire booking data from a wide variety of consumer sites, and their ability to serve travelers regardless of where they booked. Instead of a red cape, buyers should offer this new target. TMCs that come closest to hitting this bulls-eye will be the winners. Author’s note: Evan Konwiser contributes significantly to this series. Want articles like these delivered to you by e-mail? Follow this blog here. It’s free, and you can unsubscribe at any time. This entry was posted in Managed Travel 2.0, Travel Industry, Travel Management and tagged business traveler, Open Booking, TMC, travel program, Travel Technology. Bookmark the permalink. Brilliant post Scott. This is without doubt the future. It will be interesting to see how long and how painful the transition to this new world will be. There is real opportunity for new TMC business models to emerge around the disruption consumer technology and concepts like Concur’s open booking platform are creating. Any rumblings in your part of the world (Australasia, folks) about radically new business models for the TMCs? Any predictions on how the corporate booking tools will cope with the implications of MT 2.0? I am not seeing any new radical business models for TMCs just yet. That said, I have had a few conversations with people that are seeing the opportunity for a brand new TMC model that takes advantage of the trends towards open buying and choice for travellers. My view is that it will be hard for existing TMCs to innovate and change direction and that it will be new entrants with a radically new business model 100% focused on servicing travellers in the way you describe. Corporate booking tools have a great opportunity if you ask me. They can be part of the data consolidation and policy management that is necessary for meeting duty of care obligations and provide a technology platform through which a “TMC 2.0” might provide the services to the traveller. This is a really interesting space and one that will definitely cause some pain for those industry players that evolve to slowly. The solution we are examining is working with a portal type buying channel where internet access, GDS, and agent are all connected (type iFAO or KDS) so that we can still capture all data while offering more content to our travelers. Who else is looking at this? In your approach, does your TMC acquire the ability to service the bookings made in the non-GDS channels? Scott, not necessarily – if they can, it could be their added value but if they don’t they will only service part of the business. The data and reporting is then completely in the company’s control. Since you talk about TMC, I think I should be able to give my insight … since I work for Carlson Wagonlit Travel. As usual, this is my personal view, not the one of my company. Since I’m French, please excuse me for my “English”. Let’s start by some preliminary remarks. Sorry it is needed. 1/ The client (company, not the traveler, the one signing the contract) can ask for what he wants to TMCs. Transactions fee or everything else. Companies should be innovative in their RFP first! TMC will then bid for it or not. (Scott’s reply): Why should a TMC not innovate in its pricing model? Who says the buyer should be the first mover? TMCs can easily innovate more on pricing than they can on technology. Come on, you TMCs – be bold! 2/ As a traveler who wants to go to several sites to do its trip booking? Not me. If I have to cancel it, I will have to contact several different hotlines, pay different penalties, support delays, etc. (Scott’s reply): Of course, every traveler should be aware of the value offered by his corporate TMC, and this is a good example. But in MT 2.0, the traveler should also be free to decide if the TMC value is better than the do-it-yourself alternative. Once you educate the traveler about the TMC value, the question is can you then trust the traveler to make a good decision? 3/ Let’s admit also that part of this debate is also a personal and cultural choice. Some people likes to delegate, some prefers to manage everything. In some countries, you should have somebody else book your trip to show how important you are! In some others, if you do not do everything yourself you are a lazy person. 4/ TMCs play the role of intermediary. They act on the behalf of the traveler (in IT we call this a proxy). Since TMCs act on behalf of the traveler, they need to be able to book/cancel/modify on its behalf “everywhere” (for airlines, car rental, etc.). That was the promise of GDS, a Global Distribution System. That’s also why TMCs use the GDS, because a GDS permits to impersonate the person doing the booking in a secure way. A travel Agent cannot act if you book direct, you need to call the company selling the ticket. (Scott’s reply): Agreed. Can you, should you trust travelers to understand this, or not? 5/ Most of the time the corporate online booking tool is selected by the client (aka a company). Using an OBT (online Booking Tool), like the ones mentioned by @Geert, has a cost. Cost of usage (Cost … per transaction.) and cost of deployment. It also provides some benefits. 6/ One of the main benefit is commoditization. TMCs are used by company to commoditize the business travel functions. Commoditization also means … willingness to decrease cost. And the transaction cost is the preferred KPI of travel managers. (Scott’s reply): By transaction cost , I assume you mean trip cost, and not the booking transaction cost. If that’s right, I generally agree…but mainly because travel managers have no good metric for measuring either the value of the trip (basically impossible, certainly impractical to measure), or the friction incurred by the traveler by taking the trip. 7/ TMC also used lodged card, enabling people to not pay with their credit card, but to hit directly the company cost center. This is a real B2B service. The more people use their own money, the more risk of frauds you also have. 8/ Major TMCs have human resources available in contact center globally 24/24 and 7/7. So as said Scott TMCs are offering a service, not just selling tickets and doing transactions. 9/ TMCs do not advertise. So your travelers will be seduced by the sirens of the market. Come to me, be loyal, and you will be treated like a king. It’s Harder and Harder to resist. That being said, I’m not sure that TMCs should morph into Insurance companies. What I’m sure is that TMCs are morphing. The time for TMC 1.0 is ending, welcome TMC 2.0. And it is very interesting to see this latest weeks a clear positioning emerging for the major TMCs. (Scott’s reply): Why shouldn’t TMCs take on more pricing risk by offering a flat price to serve the varied needs of a company’s travelers? It would require a more careful analysis of the travel and booking patterns of the travelers. OK, that can be done. Then it is simply a matter of pricing the risk of handling more, or more complicated, transactions and service needs than was expected. If insurance companies can do this, why not TMCs? Now let’s take some examples with my company, CWT. 1/ Safety and Security is becoming a key need. Why? Mainly because people do travel in dangerous places (violence, diseases, etc) and because regulations in certain countries were strengthen (like duty of care in the USA). CWT did rebuild completely its offer around safety and security. We began by commoditizing access to safety and security information though a tool (previously done internally, now through a partnership with IJET) available to all our clients at no cost. You could extend the services to get more, it is offered at a price. As Scott said, you pay for the level of security information and service around it you want. 2/ CWT offers a mobile app CWT To Go for free, with your flight alerts in one place for free. We implemented an automated, secured transmission of all itineraries and made them available in one app. Just login and your trips are there. And nobody can access your trip information from an API. Same for flight alerts, they are there, no need to pay or subscribe. We commoditized access to your trip information on mobile. 3/ CWT bought Worldmate to drive its “mobile destiny”. A big advantage of Worldmate acquisition is not only to have a top notch set of apps, but also a great itinerary parsing API. It creates then a great opportunity: the ability to aggregate all contents (the ones coming through GDS and the others). The question is then, how to leverage that capability and to generate value for a corporation? Not simple (multiple suppliers, multiple currencies, etc.). My deep belief is that managed travel 2.0 requires heavy technology capability. Itinerary Parsing is one. 4/ Big Data is another one. Managed Travel 2.O requires to move from Hindsight to insight, from historical data reporting to live data dashboarding. Managed Travel 2.0 is also about algorithm … Having data are not enough … CWT Meeting Optimizer is a tool we built based on a patent pending algorithm. New dashboard will impact compliance rate in a more agile way, enabling to act nearly immediately after the booking (for most airlines the void period is 24 hours). (Scott’s reply): We seem to have different definitions of MT 2.0. Evan Konwiser and I blieve it is basically about granting as much freedom to your travelers as is practical, with the key constraints of getting the booking data back to the company (and presumably to its TMC), booking safe suppliers, and booking trips that are within budget. Your comment about MT 2.0 involving insight is interesting. Can you elaborate? 5/ It is also about new KPI and new “service offering”. For example, CWT launched the Travel Stress Index to evaluate the travel impacts on different kind of populations within the enterprise. This will help control and report on the corporate duty of care. It could be also a KPI that will be used by HR to show the investments made by the company to improve their employee life at work, or to help travel managers evaluate and better shape their program. I’m certain that in the future you will have articles talking about “the best companies to work and travel”. (Scott’s reply): Excellent! We need good ways to measure this type of thing. Can’t wait to see this vein of analysis take hold in the MT 2.0 world. For me managed travel 2.0 is a way to create a fair and equitable ecosystem between suppliers (airline, car rental, etc. ), distribution Hub (GDS, Google, Fairlogix, etc. ), clients (corporations) and TMCs. Like in the automotive industry, commoditization and pressure for cost pushed to their maximum, without ensuring fairness, could lead to alter dramatically the whole ecosystem … for the benefit of some. Guess who they are. (Scott’s reply): I won’t speak for Evan, but for me, MT 2.0 is all about creating more value for the traveler and his/her company. There’s nothing in my view of MT 2.0 that requires “fairness” or an equal distribution of benefits among the industry’s players. It’s evolution, so it’s messy and likely to have some harsh outcomes. The fittest should survive, yes? Thanks so much for sharing your thoughtful views. Your TMc perspective is very helpful. I’ve offered comments in-line above – it was a lot easier that way. Let’s keep the discussion going! Just one side-note, I did not refer to an OBT (too limited) but to an Online Buying channel pulling content from a variety of sources into one itinerary but allowing travelers to get the best out of the different offered contents. Of course there is a cost but it is more transparent what you are exactly paying for. the analogy with the automotive industry is not entirely up to par since automotive is complicated and high technology. We talk here about a more commoditized transaction where TMC (I used to work for a TMC like you – American Express) are still not able to show substantial added value especially for (internet) savvy travelers. This is very good and the interaction between Scott and William spot on. The TMC have less than a decade to change the business model and it is not done by adding sugar on the individual cake (transaction). The development of apps is moving so fast the fantastic products like Worldmate will may be obsolate in a short time and very few TMC have a tradition of innovation. And the biggest problem is the fact that the customer value the transaction so little and withj good right. Great article and you have hit the nail on the head. TMCs want to differentiate and provide a service that will increase their client base in a very competative industry. TMCs often get asked about Kidnap and Ransom provision, POLEVAC, journey management, itinerary and personal tracking and medical assistance for those more complex areas. Booking tools to aid corporate travel and security managers with their travel requests. Delivery of risk and travel alerts geocentric to the clients itinerary with an SMS messaging system that confirms embarkation/disembarkation, arrival at hotel etc is all possible. Great stuff and the corporate clients relish the service. There is a drawback though. Many clients do not want to pay for it so this investment comes off the TMCs bottom line. This is where a partnership comes into play with a risk management services (RMS) company such as Drum Cussac. Opportuities are shared and the TMC receives revenue from referral fees based on service delivery from its RMS partner. This is the ROI and the way in which TMC’s are changing their route to market. We know our TMC parters have seen an icrease in their client base and more importantly retained their existig business too. From their perspective they probably hope the others do not catchup! Thank you for sharing your views form the risk management perspective. Managing travelers’ risks and managing travelers’ itineraries seem to be very complimentary activities. So much so that I’m surprised there is not already more integration of these businesses under common ownership. For the benefit of our readers who are mostly in the travel industry, could you give a brief overview of the RMS industry (key players, their business models, and their annual revenue or turnover), and some thoughts on the pros and cons of merging of TMC and RMS businesses? p.s. What does POLEVAC stand for? I would add that life is not over after the booking – lots of obscure back office processing happens in invoicing, checking invoice compliance, reconciliation, payments, managing credit notes, VAT recovery etc… Although this is more complex for large companies, someone (accountants? BPOs?) is needed to sort out the mess. There is a lot to do. Most companies are already paying hefty fees to other partners, while it should be more efficient to have a smart TMC handle everything end-to-end. If this happens, if anything, TMCs should make sure valuable services with direct impacts to the bottom line won’t be gobbled up in the same old transaction fee. Excellent points by Scott’s thinking out-of-the-box and William’s inside view on the realities within TMCs! I would like to use the (maybe) overstretched analogy of computer operating systems. Legacy systems such as Windows (read TMCs) have kept up with the competition but have mainly played catch-up to innovations driven by other players such as Apple (read mobile technology, GDS, direct-connect, etc.). Over the past decades Windows may have done it ‘bigger and more integrated’, however, they hardly ‘invented’ something new. Really new approaches such as platform integration (Desktop, iPad, iPhone, iPod) or alternative platforms (Google web-based, Android) have not only driven technology innovations but also cultural changes. People now expect to be able to use any device, platform and supply channel they choose. I feel for TMCs who have quarterly goals to achieve in a model that is squarely built around transaction fees, while companies developing new options do not expect revenue to materialize for maybe years. How can any TMC reinvent their business when the reality is that success is measured by quarterly revenue? This is by the way the same reason why TMC have made little progress in integrating/transitioning their consulting business into their mainstream business line…but I digress. Let’s look at alternatives and the threat they form to traditional TMC’s. What if a data-aggregator and a traveller-tracking company build a model whereby you can book anywhere and they will track and report spend and have instant access to up-to-date travel data regardless of platform. Would that be the $220K or $2M business that Scott wrote about while the TMC will be reduced to a ticket booking agent that will haggle on margins? TMCs are doing a good job keeping up with trends and tailoring their products to new technologies, however, alternative suppliers/supplier groupings that are not necessarily from the travel industry could simply leapfrog the function of TMS and marginalize them. What if this new business provided real-time travel data aggregation of the company’s travel bookings regardless of where booked, and traveler risk management services, and could pass “edit rights” to all the bookings funneled through the data aggregation process? By having these edit rights to the corporation’s bookings, the corporate’s TMC partner would be able to serve the travelers regardless of where or how the traveler originally made the booking. Assuming a TMC could acquire the edit rights to these off-line bookings, wouldn’t that transform the mission of the TMC from focusing on transaction efficiencies to focusing on service quality? As a traveler, I’d love this new-found freedom to book anywhere – mainly because it comes with a warm, fuzzy, two-ply security blanket. My company knows where I’m at and will take care of me, and if I need to cancel or change my trip, I can call, text or app my company’s TMC. Time will tell if this vision has a chance of becoming reality! If you think travel is only about technology and data, then, I will not follow you this way. For me Service is more important that “aggregating” your data. Human, tools and processes are built to provide a service, described in a contract. We all know that travel industry is not an open ecosystem with great and usable technical standards. Did you notice that some airlines forbid companies to access user’s miles on their behalf (Awardwallet for example)? Do you also know that some clients do negotiate directly with some supplier’s specific rate and service? A TMC is doing the link and offer a service around it. This involves lots of technology, but it’s not “fancy” and “visible” on a web site. Who is interested by this small business travel B2B market today with so many constraints (specific fare, travel policy, specific tool to be integrated) imposed by clients that want great service, but rarely want to pay for it? Are aggregators paying penalties if they cannot handle your itinerary or request? Who do you complain to if you pay your ticker a higher price than the guys sitting next to you? Are aggregators able to onboard all your large company travelers automatically and understand all different companies subsidiaries and ways to invoice each of them? Are aggregators able to managed lodged card and free users to pay some of their most expensive tickets? Are they able to suppress the account of all your travelers if you decide to go with another travel company? These are good question for a company. For a traveler, independent, or working in a small company then you can ask each of them to create account everywhere and send their booking confirmation everywhere, and hoping than one of them will be able to process it. Oh, by the way, aggregators will not be free. Access to alerts is to be paid. If it is not part of a Service (like we do with CWT To Go), and “If it’s free, then you are the product”. You need to compare apple to apple. Airplus for example is an aggregator of data, and as far as I know, they are not free. Expense Mgt tool vendor are aggregator and are really expensive if you compare with the service offered. Its is just a tool, to aggregate data after the fact. But, in 2012, this is real cool! @Andreas – Please let me know a company that is not looking at its quarterly results today and that is still in business. Except startup, I do not know any. Latest story: Book a room at the new Yorker hotel in New York and send it to all “aggregators” and let me know how well it works… Aggregator works well … sometimes. Are you willing to bet? Scott, this thread has generated some great thoughts and insights. Awesome to be getting some different views on this topic. I have another observation that really lends itself to this thread. As someone that comes from outside the travel industry (other than for the last few years), I found the lack of involvement by corporate IT in the selection of technologies related to travel very surprising. With the increasing legal regulatory burden around Duty of Care, I believe this is going to have to change quite quickly. Say for example a mining company was selecting logistics/supply chain technology. The business owner would define the requirements that need to be met and Corporate IT would be involved to ensure that the technology was secure, the vendor met all the required levels of security and that the technology integrated with the overall corporate IT strategy and data environment. They take it very seriously as it is critical to their business outcomes. Now consider how most technology that relates to travel data, traveller tracking and communication is selected. 1) It is generally provided by the TMC and/or a Travel Risk Management company that provides assistance services. 2) Corporate IT is generally not involved in the requirements definition and selection process. This sends the message that the “logistics and welfare” of employees is not as important as the logistics of the businesses products…. That just cannot continue when there are possible legal ramifications for Directors & Officers for not providing adequate duty of care for travellers. For most organisations it is nearly impossible for someone to say with confidence, “I know where all my people are right now and can reliably communicate with them if needed”. The process of a booking making its way into a travel tracking and communication system without ANY HUMAN involvement and validating that the booking has complete information is not simple. Yet, the rigour with which technology is reviewed and selected is not reflective of this complexity or, the legal imperative to get it right. With “Open Booking” or “Fragmented Buying” becoming more of a reality, this only gets more difficult to manage. In my humble opinion, I think that Corporate IT is going to be forced to be involved in selecting this technology to address the increasing legal risks and ensure that the travel data is in a format that can be integrated with other systems. In this future, there will only be a few companies that emerge with the capabilities and scale to provide travel tracking and communication technology that meets the standards of corporate IT. My hunch is they will be companies 100% focused on technology and not companies that have a different core business purpose such as making travel bookings or providing security and medical personnel and assistance. Technology requires a technology focus. You and your colleagues at ConTgo have a deep understanding of the technical challenges involved in providing traveler tracking and communication services. No doubt it takes specialized knowledge and strong commitment to be a long-term player in your space. But is that much different from that of a TMC, with respect to its need to provide similar in-depth knowledge and strong commitment to the travel booking function? Specialization often makes great sense, but when different specialties are seen as complimentary – and potentially synergistic – we should expect a wave of mergers and acquisitions. I think we’re on the cusp of this, as evidenced most recently by CWT’s announced acquisition of WorldMate. In a similar vein, I expect major TMCs to tie up with major risk management providers in the next few years. If that happens, I see a heated competition for control of the travel domain between the risk managers and the travel technology managers. Today’s traditional travel managers risk coming in third in that race. The problem here is not the user tracking, the problem is where do you store these data, how much time do you keep them and what query you can run on this data. These are the questions always asked by the “clients” and client IT and Security teams are always involved. More in some country like Germany, this service requires approval of the work council. It’s not something that is done in 5 mn during procurement time. Storage and encryption of data is also required, and ‘data safe harbor’ is key to meet some regional regulations. For some jobs, like truck drivers in Europe, these technologies are in place since years. They know where the truck is, its average speed, etc. The main difference with mobile GPS tracking is that you can disable it when you want. Hi Scott – this is a great post and generating some interesting feedback on TMC 2.0. Some further insight for consideration is how do I track my travellers when it is not booked in the GDS or by my TMC – we have spoken about airline website but what about charter flights. Your vision of TMC 2.0 will help many overcome these issues. Having open sourced and specialist technology companies managing this will be the way of the future. I agree with your views although I wouldn’t describe them as radical – a more radical version which I think is quite plausible is that in a decade the ‘top end’ of what are now TMC’s will be a business line within the equivalent of today’s Accenture, IBM, Google or Oracle. TMC’s are no different to the intermediary in any category that relies on information and requires transactions. Historically, the complexity, level of knowledge and specialization required, bespoke technology and regulatory barriers were such that an individual traveller simply could not obtain and analyze the huge volume of data required to plan most travel; transacting and managing the booking and payment process was neither possible nor practical, and even it these hurdles were overcome the supplier would most likely be unwilling or unable to deal directly with the traveller. The TMC industry fulfilled these necessary functions and price was a secondary consideration because the only choice for the traveller was which TMC to use, not whether to use one or not. The situation now is the inverse: technology delivers and analyses the complex data, delivering it in an easy to understand way to the desktop or mobile phone of a traveller, who is now empowered with the payment options to transact there and then. And rather than the supplier refusing to deal directly, an increasing number are offering incentives to book directly rather than via a TMC. There will always be a segment of the market that wants or needs a knowledgeable specialist so there will be TMC’s in 10 or 20 years … But I suspect they will be as common and as well patronized as the specialist stand-alone butcher compared with purchasing your meat pre-packaged on the chiller shelves at the supermarket. It’s all about the collection, analysis, delivery and management of huge amounts of data from multiple sources – and that to me sounds more like the core capabilities of the likes of Amazon, Google, Apple or Microsoft than any TMC’s I can think of! Your point about the industry’s inversion is spot on, as is your conclusion that it’s all about the data. TMCs have a fairly small window of time in which they can become the masters of the travel data stream, but I’m pessimistic that they’ll succeed in this area – their track record is pitiful. But I’m not sure the Big Guns of Data that you mention will be the winners, either – at least not in the next 5-10 years. My sense is that corporate travel data is not yet important enough, compared to the leisure side, for those companies to invest at this stage. Instead, I expect the likes of Concur, GDSX and ConTgo to produce the breakthroughs, build profitable data-driven businesses, and only then see those businesses acquired by the Big Guns. Booking confirmation parsing is now a commodity. GateGuru now offers it. So, I do not think this will be a real differentiators. The real differentiator will be around real time data Mgt. Google is clearly ahead with its transit information capability. Look at Google Now! On the leisure side, and globally, I will think more of Kayak (myTrips and all the services offered,) skyscanner, and the likes. If we think multimodal (air, car, bus, train, etc. ), Rome2Rio could be a great emerging player. I think GDS will be there … and are investing heavily. They already have datacenters and plenty of money. They know how to manage data. My guess is there will be also some room for new entrants, emerging from the pure analytics field. To excel in data-driven business, you only need data scientist, computing capabilities and the right business model. Yapta, DealAngel, KnowDelay are examples of company targetting niches. The real issue here will be the cost of entry, getting all data needed and being valuable since day one. Airplus and the like are for me also companies you should look at. They manage payment, aggregations, etc. The big change is that data will be used by all companies, and travel will be seen as a great “ancillary” service by many industries. Really interesting article everyone. Especially reading as a TMC attempting to pioneer a new model! Click Travel in the UK is attempting to shun the transaction fee and has moved to a User based fee, see http://www.clicktravel.com pricing page to see what I mean. Although pricing here is per ‘booker’, we are trying different methodologies and are open to charging a monthly fee per organisation also. I’m not saying this is perfect but wanted to give an example of a ‘TMC’ (although we are much more like a KDS or Concur as we are to all intents and purposes a self booking tool & a TMC combined) trying to innovate on both pricing and technology. With reference to Williams comments , I totally agree. We are trying to pioneer a new model but getting this over to existing buyers is not easy – without a transaction fee buyers cannot compare to others and tenders always request transaction fees (although sometimes with room to input other models). In addition to this, buyers worry that being an on-line service, we cannot service/hand hold them and we’ve lost business because of this despite being able to support customers in this way – purely because of their perception of what we are. An airline recently described us as “KDS with fulfilment” which was not a bad description. We only launched the new pricing about 2 months ago so I will see if I can remember to update you on whether its successful or not !! Bravo for your efforts to find a better business model! Please do drop us a note about what you learn over the next few months. @James I like your business model and the technology you built around it. Especially the expenseCloud integration. 1/ Is mobile something your client ask for? 2/ Can we position your offering as a “low cost” offering. Low cost meaning everything is included; choose your options, and nothing else. 3/ Do you consider using the GDS? 4/ Concerning the cancel/Modify: not everything could be done online and in real time. So do you manage exception using people or do you only sell content that could be canceled/modified automatically! My guess is there will be also some room for new entrants, emerging from the pure analytics field.your blog is very informative according expense management point of view,you point out all the necessary things for expense management. Nice blog…keep it up. Apologies for the delay, I was expecting an email if someone responded to my post but obviously not! b) like I said in my first post, its actually the customers who aren’t ready to move forward yet [into a more on-line orientated service], not necessarily the TMC suppliers, we are finding that many customers want a lot of hand holding, they are nervous at the prospect of an ‘on-line’ supplier, and feel that they will be ‘looked after’ better by a more traditional TMC, we recently lost a £2m account because the customer did not want to book on-line. As mentioned in my first post, we wanted to push the boundaries of on-line service but customers pulled us back and this made us quite schizophrenic, we wanted to be one thing whilst we had to give customers something else. This internal struggle and the loss of more than one customer because they wanted a traditional TMC forced us to re-evaluate what we are. We concluded that although we still think in future more will be done on-line, right now, if you look at the UK TMC market, we will maximise our growth by serving both types of customer i.e. those wanting a traditional service as well as those embracing on-line technology. Our position is therefore that of a ‘software lead TMC’ as this enables us to market to both and not alienate either type of customer. c) concerning williams point at (4), we have also learnt that its practically impossible to find customers that just book on-line. If a customer spends £500k on-line the likelihood is that they also want to use that same supplier to buy other services which aren’t available on-line, they won’t go to other suppliers. In some ways this is again because customers are traditionally used to one TMC providing their entire travel service so they expect the same of any new kind of supplier. This means that off-line remains very much a key part of any travel service and you can’t ‘overprice’ off-line to put people off as they then switch suppliers altogether, you still have to be competitive both on-line and off-line. I think that’s it for now I will keep you posted. (1) we are not asked a lot for mobile but we are putting it in place purely to keep in line with the market, we can’t be left behind. That said, we are not pushing it until the product is ready so once we do, it will be interesting to see the take up. (2) Yes, our offering is low cost, we only operate in the UK right now though. (3) Yes, we plug into Travelport Galileo and shortly Amadeus too. (4) Yes, we manage amendments, cancellations off-line at the moment, although if we can get enough channels amendable/cancellable on-line then we may decide to remove channels where this isn’t possible as long as this does not affect coverage/distribution. An update…we’ve not had much success with removing transaction fees and going for a licence based model so we’ve completely reversed everything and we’re back to good old transaction fees (apart from a cut down version of our on-line tool which is still available without transaction fees). The reality is customers want to buy on a transaction fee, it’s how everything in travel is done, it enables them to compare different suppliers and it’s what they understand – so don’t blame travel agencies for being unimaginative, maybe its the buyers who need to change their ways !! Thank you, James, for the update. This industry moves slowly, doesn’t it? Still, by making the offer, your TMC has begun a dialogue that may yet lead to more imaginative pricing models. Keep up the good work! Scott, in my mind The travel agencies are not travel facilitators, but meeting facilitators. Air, train and care are merely ways to get to the meeting. Further, travel risk can also be managed through virtual meetings and the TMC Services could include a one stop shop for all meeting alternatives, giving the customer an easy, streamlined process for booking both and consolidate/capture the virtual data into the travel program. How do you see the demand for virtual travel influence the services of the TMC’s? Glenn, the trick is finding where to draw the line defining one’s business. Does a TMC arrange just travel? Or as you suggest, does it arrange meetings? Or perhaps more broadly, does a TMC arrange communication? Business models tend to get defined by the assets needed (e.g., specialized knowledge of travel transaction processing) and stakeholders (e.g., travelers and travel suppliers). The group of travelers within a company is but a subset of employees who take meetings, virtual or physical. The assets needed for those meetings are in the domain of IT (for VC rooms and desktop apps like Webex), Facilities for the physical on-site meeting rooms, and Meetings for off-site events. Other than with a company’s Meetings staff, TMCs don’t overlap these domains much. So I don’t expect TMCs to morph into the broader mission of arranging meetings in the broad sense. Off-site events, yes,as they do now. However, I think what GetThere is doing with its integration of online booking of travel and video conference facilities is really smart. The core value this adds is giving people who want to communicate a clear set of options: Travel at this cost, or meet virtually at this other, lower cost. The ability to provide real-time pricing, availability and booking of airline seats and VC room seats is very valuable – and no small technological achievement. My guess is it will be the online booking tool that provides this convergence of venue options, not the TMC per se. Is the focus on service fee a result of TMCs’ focus on it, or the corporate client? At a time when carriers offered commission, TMCs could offer next to nothing to provide travel mgt services. As with any business that have built up processes, competences, and assets around a steadying events stream, they will fight to protect it rather than upset it. There’s good reason why the focus is on the transaction since the crux of operating costs revolve around this stage of the service life cycle. I’m sure TMCs would love to diversify the revenue stream and charge for security, data mgmt, platforms, reporting, tracking, etc… But would corporate clients pay for them? Or want an all inclusive pricing in the transaction fee.? Undoubtedly, the future of travel will only get more digital not less even if a sizable % of the current workforce still want human interaction, white glove service! and unfortunately, someone to outsource the time consuming task of researching n also blame when something goes wrong. I would even say that MBTs will overtake OBTs in importance, and it’s time to really rethink business travel from a travelers perspective and then figure in the controls that corporations want. Technology exists today to relegate current business models of TMCs to obsolescence, but why aren’t corporations investing in it? Why aren’t more companies pushing this paradigm change? My sense is that travel is not the core business of a company, so if you have $1 to invest, would you invest in the business or invest in a tertiary function of the business? When companies reach the tipping point n invest in establishing their own platforms and a dedicated team of developers, data analysts, network infrastructure teams, … The tmc will remain relevant to them. Apart from having the right technology n willingness to invest, content access is key. The content may be there, but if the gatekeeper doesn’t let u in the house, it doesn’t mAtter if u had the best technology or all the money in the world. Carriers may bemoan their distribution costs, but it’s still the most cost efficient channel to distribute to the masses. Direct connectivity is a great concept, but carriers can only connect with a finite number of companies before finding the S&B, infrastructural and communications cost to do so outstrips the benefits to themselves. They can be a strong aggregator who will arise from this, but it would again look like a gDS in new clothes, possibly higher costs as airlines may by then charge to access content rather than pay to distribute. Very interesting posts … just a brief comment. First of all I do think that the real barriers are much higher than they seemed to be at first glance. Invoicing, security, travel policy, time dedicated, changes, 24×7, etc… I’ve worked many years at C-Level positions in the TMC industry, and sometimes it was very dissapointing to feel the lack of value perceived by the “commodity buyers”, and (excuse me), some comments above remind me former times … The “No-Go” decission was sometimes the better one. Anyway, I do really think things will change, but very very slowly. Now I do have my own SME, at the beginning I started to do my travelling by myself. After two or three issues I call a TMC to solve the problems. Book travel is very time consuming, and the fees are peanuts compared to the time saved and the advantages. Even for a SME! T&E process it is also a very serious part of the game. Only Google and few others are really playing the “book B2C and I will collect the data game”. That is why they are google :) I do not think that TMCs has to be really scared in the mid term. The real reason to be scared is that OBT are replacing people with IT. How much more am I going to pay to you if the OBT is the same … and I do have 85% of OBT usage ? Whom is the differentiator in the core transactional / booking process ? Of course there is allways reporting, security, 24×7, etc, but that has become an standard for the top 10 TMCs in each market (not to tell the top classical 4).